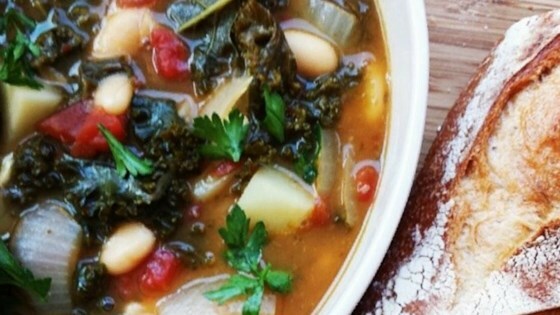 Hearty vegetarian soup with kale, potatoes, and beans. this soup was amazing!!! five stars definately. the only thing i did differently was not use the boullion cubes, i couldnt find them so i just used a thick base. excellent! !